Don’t Let Editing Get in the Way of Writing! It’s easy to do. You’re in the middle of writing your manuscript and you stop every now and then to fix a typo or add punctuation. You want your writing to be perfect, after-all, right? But what if editing your work while writing it is actually harming your masterpiece? How can that be? Well, consider these points regarding the process of editing as you write. It slows you down – When you’re in the mood to write and your inspiration is flowing, you don’t want to stop to fix your punctuation or spelling. When you’re inspired and motivated, you really need to take advantage of those opportunities. So just write, no matter how messy it looks. The point of this stage is to get your ideas on paper. 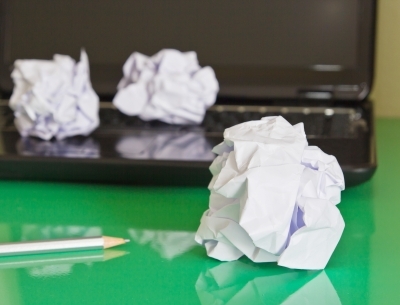 It’s distracting – How can you focus on what you’re writing when you keep stopping to edit? And how can you meet a daily writing goal if you’re distracted with edits? It’s not necessary – At least not while you’re still writing your manuscript. And editing requires as much attention as -actually more than- writing. So, when do you edit? When you’re not motivated to write -unless, it’s time to edit, of course. Yes, when you don’t feel like writing or worse, you feel as if you can’t write. Use this time constructively by editing. Not only will this effort be a way to continue forward with the completion of your manuscript, it may just inspire you to actually write! What are your thoughts about editing while writing? I Want to Write a Novel, But Where Do I Start? I’m in the midst of revising Freeing Tanner Rose. It’s not an easy process, as many of you writers out there know. It’s a matter of tearing out sections of a novel that you spent hours and hours writing. It has to be done though. And much of what’s being removed is just not working to make the story the best it can be, and that’s the thought process I have to keep reverting back to. Some stuff is easy. Let’s be honest, it just filler, initially needed to create a bridge from one section of the story to another. But some of the content destined for removal is pretty good, if I have to say so myself. In those cases, it’s too much to let go, so I take what’s not working for Tanner Rose and put it somewhere safe for another novel. If you need a tip for this process…Just do it! Every word should count if you want to produce a meaningful novel. Anyway, I’ll continue to tear poor Tanner Rose apart and hopefully get to the final revision soon. Here’s praying! How hard do you find the revising process? I’m reluctant to get into editing the “final” draft of Freeing Tanner Rose. Why? In contemplating it’s conclusion, I’ve realized that I have to introduce a new beginning. This may seem like a drastic change at such a late stage -and maybe there would have been a time when such a decision was unnerving, but it won’t be the first time. When finalizing The Destiny of Sunshine Ranch I did the same thing. What was supposed to be the first chapter of that novel is now four pages into chapter 4. And I feel the story has been strengthened because of it. If the idea of moving chapters around, changing the introduction or even changing the ending of the whole novel enters your mind, don’t brush it away. It’s tempting, I know, but the notion exists for a reason. Your reader has to jump into chapter one and not want to leave your story until it’s absolutely necessary. I’m not sure the first chapter of Freeing Tanner Rose achieves this. If you decide to make a drastic change to your fiction novel at the last stage, remember to make sure that the change is reflected wherever necessary throughout the novel. To ensure this is the case, you’ll have to get a pair of fresh eyes to read the whole novel for you. Sure, the change will likely knock you off schedule, but if your desire is to put out quality fiction, the wait will be worth it! Good luck, God bless and wish me the same! Ugh! Time to get to it. I’ve read many books in my journey to become a better novelist. Some have been awesome, in my opinion, and others…not so much! One resource that I’ve found to be very helpful is The Moral Premise: Harnessing Virtue and Vice for Box Office Success. Stanley D Williams is the author, and his insight on novel writing is definitely inspiring. Before reading this book, I found my writing would easily drift off into irrelevant directions. Williams helped me bring everything back to the “moral premise.” I read the whole thing years ago, but I continue to refer to it often. I highly recommend this book. Do you find yourself getting lost in your own story line? 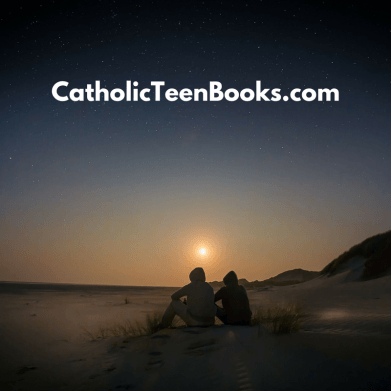 Have you read The Moral Premise? Share your thoughts! 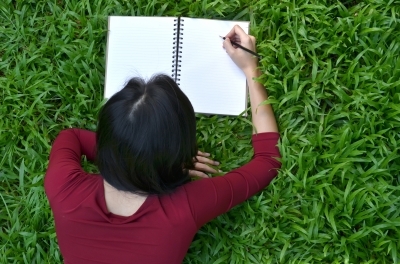 Many people aspire to writing a novel, but the idea of doing so can be really daunting. Oftentimes, they’re so overwhelmed by the idea of where to begin, that they never actually get to it. Writing a novel isn’t easy. There are many steps to the process. And beginning a novel is the first one…well actually, it’s the first phase, made up of a bunch of steps! Get a notebook to write notes. You can scribble anything you want to in this book, but you must keep it organized. Have a section for the story-line, a section for characters, a section for laying out the chapters, and so on. This helps you keep a focus on the overall story-line. Remember however, that some of this information may change, which is fine. You just need a direction. Type up your chapter layout. Once you have figured out how your story will flow, type it up. Again, this will likely change, but you have to start with something. Just remember to revise this whenever you switch things around. Start typing up the chapters. You may not be able to write all the chapters in order. If you can, that’s awesome, but oftentimes I skip to the chapters that I’ve already thought out. If you’re struggling to get your novel on paper, all I can say to you is, stop worrying about it and start laying it out. Remember too that every writer is different. Everyone has their own method. This is what works for me. If you don’t have a method, try this and adjust accordingly. God bless you all in your endeavors! Please excuse my lack of attention here on the site. I’ve been working on finishing up my next novel, Freeing Tanner Rose. 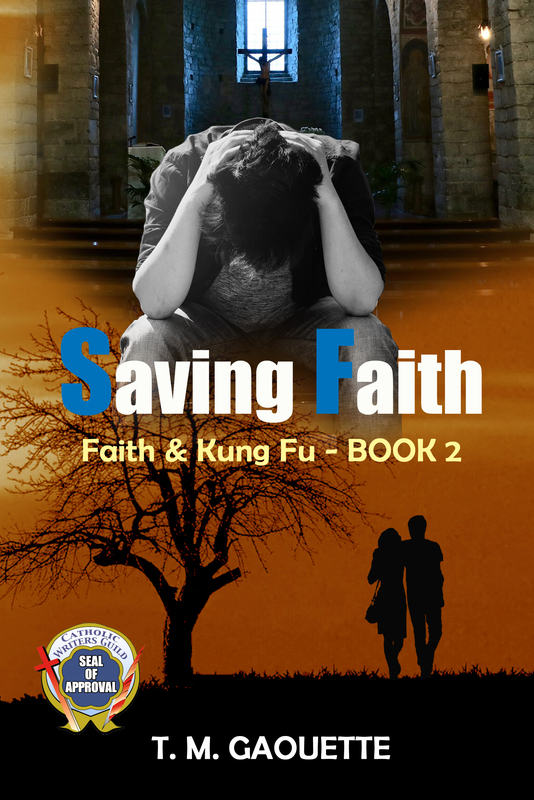 It’s actually the beginning of a four-part Kung-Fu Faith series. Fun fact- Freeing Tanner Rose was not originally written as the first in the series. I actually began writing one of the other books eight years ago and intended that to be the first. I began writing Tanner Rose three years ago, and decided that this story would be a better intro to the series. With Freeing Tanner Rose, I’m at the point in the process where I’m trying to tie up loose ends, but keep finding reasons to move things around. Such last minute decisions are not always smart –although common in my writing style- but I’m confident that the final draft will likely benefit from it. The big problem is that changes mean more thorough readings and constant editing, and this process often drains the love I feel for any story. Once love is gone, it’s not completely lost, but I usually have to set the project aside and allow some space to grow between us. Just enough room to feel the loss. I hope such space is not necessary during this revision. In order to ensure that and to avoid falling out of love, I’ve been splitting my novel writing time with cover design and novel description. I’ll post these as soon as I have them completed. Then once the final draft is complete, I’ll share the first chapter. 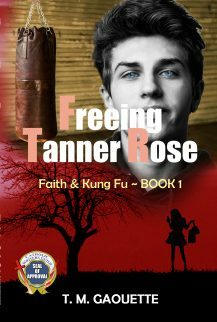 Freeing Tanner Rose is scheduled to release late fall of this year, God willing. I plan on keeping this schedule, but it’s more important that the finished product is perfect –or as perfect as I’ll allow it to be before forcing myself to let it go. To let go! Ugh. Another step I have a difficult time with. Lord, bless my words so that I glorify You in everything that I write. I love to people watch. I’ve done it for as long as I can remember. No matter where you are, you can people-watch -assuming there are people there, of course. And I believe it’s really helps me enhance character development in my fiction novel writing. People-watching doesn’t involve staring at people to the point of discomfort, but rather watching them discretely and taking in the subtle details of natural behavior. It’s about witnessing how one interacts with another, within a group, and even alone. Every movement can be recorded for future use. Subtle details are as significant as the obvious, such as a narrowing of the eyebrow, a tilt of the head, and even a blank gaze. These are all valuable. These gestures, expressions, and attitudes, when used appropriately, breathe life into a character. People-watching is also an effective way of creating story-lines. Witnessing a couple sharing a meal in a restaurant, a family on a beach, or a person sitting alone can prompt many questions. Why are they here? What’re they talking about? How’s she feeling? 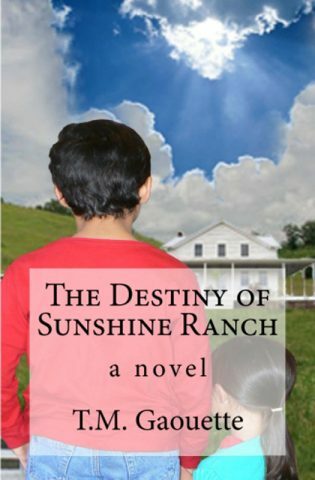 In my novel, The Destiny of Sunshine Ranch, I was pleased to note that many readers enjoyed my character development. And I believe that much of the credit goes to my habit of people-watching. People-watching is a valuable tool, I feel. It introduces me to various types of characters, characteristics, and storylines. There’s truly nothing better than witnessing real life if your desire is to bring your characters to life in a novel. 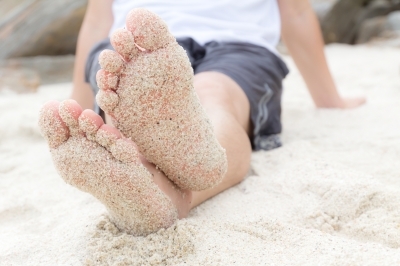 Do you find that people-watching is a valuable tool for writing fiction ?